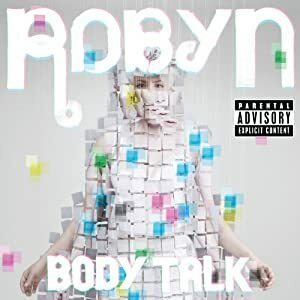 Swedish dance-pop queen Robyn Miriam Carlsson released her Body Talk album in the form of three separate EPs over the course of 2010. Finally the complete album was released, combining most of the material from the three EPs. The most attractive elements of Robyn’s music are precisely those not normally found in Eurodance pop: strong melodic hooks and a powerful emotional connection. This music evokes classic disco songs like “Don’t Leave Me This Way”, which packed an emotional punch. Thus it isn’t just great for dancing, but makes great listening too, as much as any other pop. Robyn is on a very short list of dance music artists I actually listen to for pleasure. As for the artist, there’s a free-spirited freakiness about Robyn that, in terms of comparison to her stateside counterparts, is more Pink than Madonna. Her dancing isn’t the smoothly choreographed stuff typical of American dance-pop divas. In fact, it’s choreography that might make you wonder if there is any choreography, which I think fits the from-the-heart vibe of the songwriting. I think Abba is great. They may not belong to a genre oft associated with realness, but I really believe so in the highest sense. When you take their songs out of their productions, you’ll get an eye for what it was that made it all so big. Both ABBA and Robyn’s music contain both sadness and an ebullient energy. ABBA’s gift for creating melodic pop earworms is undisputed, but somewhat overlooked at times are the autobiographical lyrics which chronicled the demise of two marriages within the group. Lyrical angst was always counterpoint to joyful melody, which is why their songs have a timeless appeal and aren’t considered today to be mere 70’s bubblegum. Robyn deals in the same type of sad “realness”, counterpointed similarly by melody and irresistible beats. Robyn wants you to take your angst to the dance floor. But her quieter readings of the same songs in alternate versions bring the sadness into stark relief, just in case you didn’t get that she isn’t some superficial Ke$ha. It’s as if she wants to show that her songs can be “taken out of their productions” just as she suggests we do with ABBA’s songs, to reveal the song’s soft center. Not a fan of dance pop? You might want to give Body Talk a chance despite. Because under those dance beats you’ll hear a heart beating too. Over 40 years the footage of the historical event was lost, found and has yet to be seen by audiences—until now. On May 17, Screenvision, in partnership with Ace Arts and Iambic Media will present a 92-minute documentary which features The Beatles’ first-ever U.S. concert, titled The Beatles: The Lost Concert. The documentary will be shown in theaters across America between May 17-22. “The Queen Extravaganza” do a fair impersonation of Queen, and their singer does the best Freddie Mercury I’ve heard. The Roger Taylor/Brian May finale will quicken the pulse of old fans of the band. It’s just a little weird to see it all on a show named American Idol. The French duo known as Air (JB Dunckel and Nicolas Godin) create atmospheric, ethereal and slightly psychedelic sounds. This is music to bring the nervous system back to base line after a hard day at work, or to set the mood for a chilled-out evening. 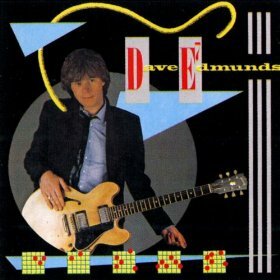 While never known for his songwriting–and never prolific in that regard–Dave Edmunds is a preeminent and extremely reverential cover artist. His stomping bluegrass take on Brian Hyland’s 1962 hit “Warmed Over Kisses (Left Over Love)” is a gem from a guy whose musical career path is littered with them.